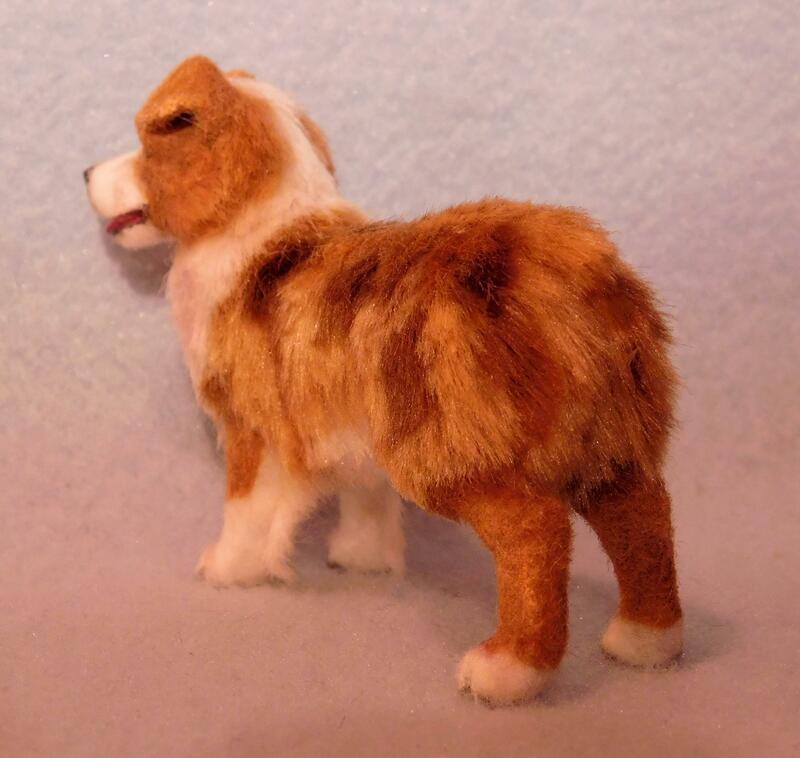 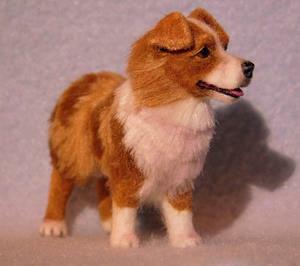 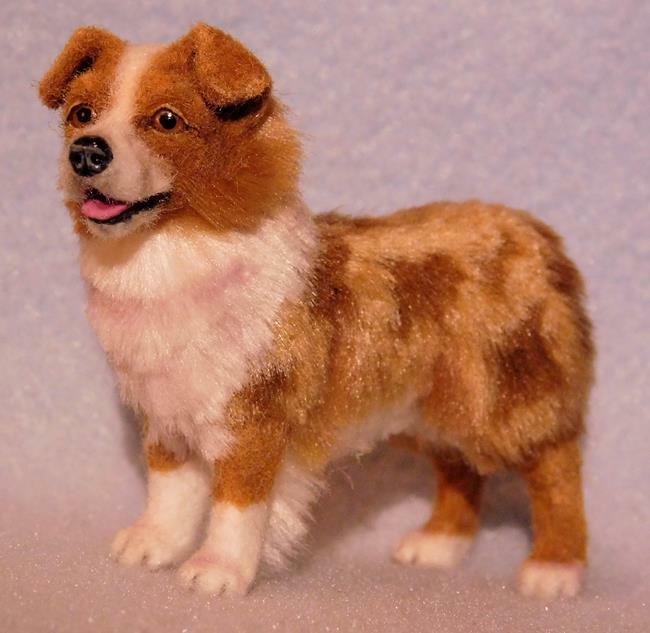 Today I finished this little red Australian Shepherd and he's ready for his new home! I first carefully sculpted him in polymer clay, painted the tiny details with acrylics then applied a combination of silk and bamboo fiber until finished. 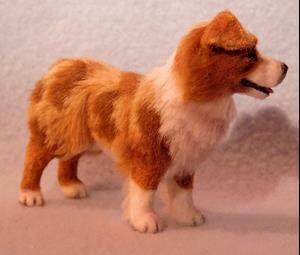 I made his eyes in a separate process then cured them into the sculpture. The new owner will be sent an original digitally signed certificate of authenticity that may be verified through the ebsq site. 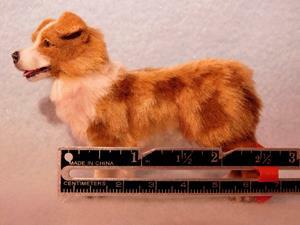 This would make a great addition to your original dollhouse collection!